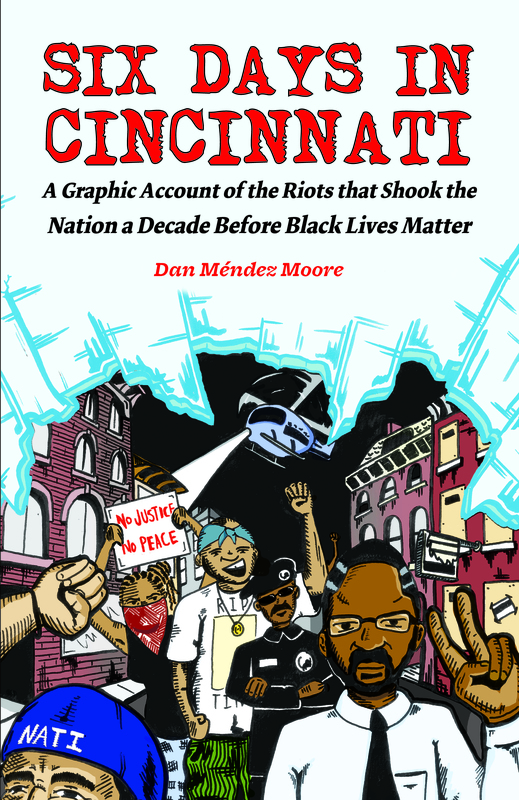 This is the graphic history of the 2001 Cincinnati riots, told for the first time from the perspective of the participants. When Timothy Thomas, a 19-year-old black man, was fatally shot by police, the city broke out into nonviolent civil disobedience that was met with further police violence. This was the first major uprising of the 21st century, matched only the LA riots a decade before and the protests in Ferguson over a decade later. Author and illustrator Dan Mendez Moore was 17 at the time and participated in the six days of protests that shook the city between Thomas's death and his funeral. Mendez Moore's comics journalism account sensitively captures a fiery moment in U.S. history. Book jacket image and book description courtesy Microcosm Publishing. Used with permission.